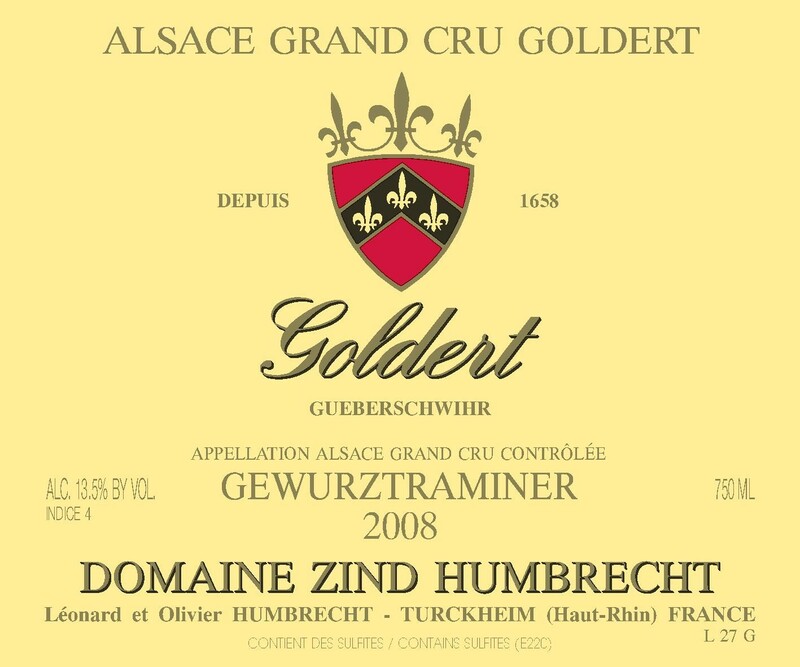 The Goldert Grand Cru is located on the discreet East facing hillside on the North of the village of Gueberschwihr. In the past, growers used to say that you should see the old Roman church tower from the best part of the vineyard. The quality of the Marl-calcareous mother is the reason why this vineyard is capable to produce regularly high quality aromatic wines. It gives the structure and elevates the aromatic Gewurztraminer to more complex aromatics. In 2008, the grapes started to develop some noble rot, not enough to justify stricter selections, but it did influence the richness of the wine. Of all the wines made in Alsace, Gewurztraminer is actually quite unique and perhaps one the most difficult to make. It cannot stand high yields and can turn vulgar is harvested too early. A longer ripening period may lower a little the acidity level, but guarantees more subtle flavours. The fermentation of this later picked Gewurz was lazy and stopped with some well integrated residual sweetness. 2/2010: on the first tasting notes I did of this wine, I underlined the word ‘roses’ three times! It is true that the Goldert vineyard is perhaps one of the most aromatic Gewurztraminer amongst the Calcareous vineyard family. The 2008 shows intense floral qualities, not vulgar or perfumed, but just elegant and persisting. The palate has this structure that makes the sweetness light and pleasurable. The big structure is well hidden behind a silky aromatic wine.